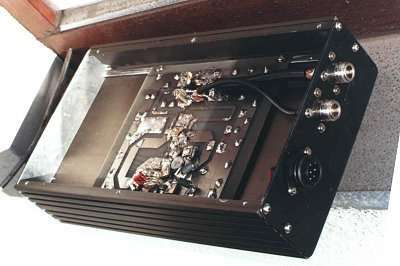 Power-Amp: enhanced tube amplifier YAESU FL 1000; plate voltage: 600 Volts, cooled by a fan. 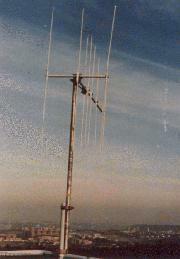 Short-wave aerial: 3-element Yagi-beam mounted on a 54 ft. Westower, directed towards central Europe. 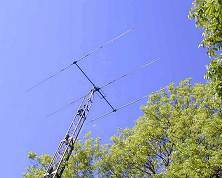 Transmission time schedule: None - switched on and off automatically just by measurement of DX-conditions. 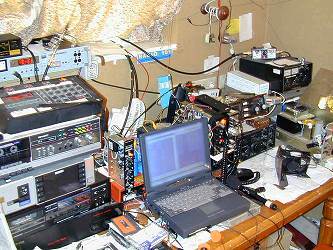 Farest reception report on shortwave: Hungarian/Ukrainian border (59+). 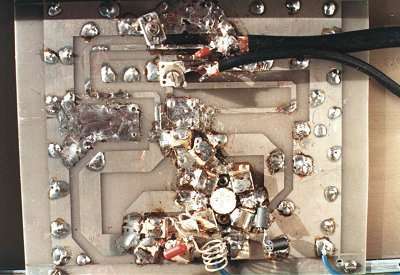 Pictures left and bottom: solid state 100 W FM Power-Amp.